French Riviera beaches win the prize for chic and glamour. Choose from glamorous free public French beaches to an elite club French Riviera beach. When I think about French beach culture the French Riviera immediately comes to mind. High summer is the most popular time for beaches in France, particularly August when the French swarm here for their summer holiday. With the crowd come nightlife, chic parties and who’s who on the beach. If this attracts you, this high season is definitely the time to go. Otherwise, late spring and early autumn is warm and calmer. Did you know you can find a great French beach outside the Riviera? Here is an overview of the best beach areas in France. The major areas for French Riviera Beaches are Nice, St. Tropez, Cannes and Monaco. This French Riviera Map will give you a good visual perspective. The largest French Riviera beach resort on the Mediterranean. Nice is less expensive than the others. 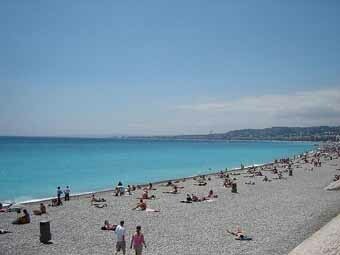 The Promenade des Anglais runs along this French beach and harbor. The street is 5 mi busy street lined with art galleries, stores and hotels like the famous, Negresco. Great walking promenade between the street and the beach. The beach is not sand but small stones. 5 min train ride from Nice Lies at the foot of the hills. Beautiful protected natural harbor. Lively waterfront with cafes and bars to people and boat watch. The beach is smaller than Nice but also less crowded. It is also less stony with more sand. Cafes and ice cream stands on the beach. Want a break from the beach? The small town offers great walking and site seeing. We loved walking along the cliffs of Cap Ferrat. Gorgeous views down to the sea and the cliffs around you. Down a long wooden stairs takes you to this French beach. It is a cove protected by the cliffs around it. Very peaceful in September when we were there. My brother-in-law’s favorite place to swim. Check out the festivals in France to see what's are happening on the Riviera. Made famous by Brigot Bardot and company in the 50s. A real hot spot for people watching including those glamorous French beach women. Best beaches are outside of town. Pampelonne is the see and be seen beach. Full of beach clubs and restaurants. No train station so parking at hi season is difficult. Best sandy beaches on the Riviera. Posh. Think Cannes film festival, etc. La Croisette Promenade is the famous thoroughfare. It’s lined with boutiques, palm trees, gardens and hotels on one side, on the other side the beach. Walking promenade between the busy road and the beach. Free public beach in front of Palais des Festivals. You must pay if you want to use the WC, which for some reason I found surprising. We swam here and lay on the beach in September. The air and water was warm and beautiful. The beach not crowded. Most France beaches are less mobbed than high summer. Lavotto Beach is the only public beach in Monaco. Not for the see and be seen crowd, they use the private beaches. Great beach for sun and swim. Popular for families with young children and everyone else who doesn’t want the jet set scene. Bars and restaurants line the back of the beach giving you many choices for eating and drinking. In high summer it gets crowded and dirty. Lifeguard on duty in July and August. Good Private Beaches: Monte Carlo Beach Club (Part of the Hotel de Paris Monaco); Beach Plaza Sea Club. French wine regions go all the way to the coast. Just a short drive into the countryside. Where to Stay? 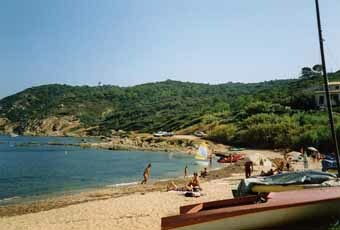 Try camping in france on or near the beach. 5 star French campgrounds are like resorts or camp rough under the stars. 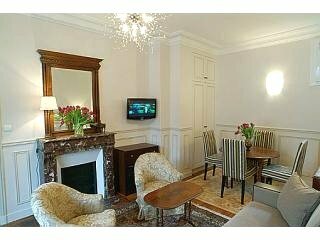 Want a French Riviera holiday rental? Here is a self catering france guide to get you started. What to Eat? France food is the best. Here is a great guide to make ordering easier. Driving in France gives you the opportunity to see and do many things. A guide for your driving experience. Flying to France? Airports in France that serve the Riviera.